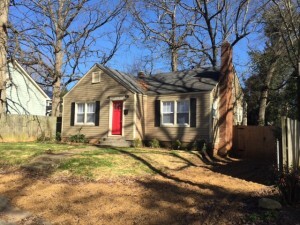 Before Pic of 1013 Anderson St..
Over the past 2-3 years, I’ve been watching rental rates increase at a double-digit pace within the solidifying inner-city markets of Charlotte, North Carolina. This is a story of keeping an eye on your real estate markets. Going on 22+years of landlording, I have realized that I became what it was I sought after as one of my most successful way of acquiring properties. That old-time landlord that falls behind in rent levels and conditions of their property. Now I’m not saying my places are run down, but what I have neglected to do is keep up with the conditions and amenities desired by prospective residents for my locations as the desirability of the neighborhood improves. One has the habit of getting a rent range stuck in their mind and then thinking that there is no way it could be higher. I used to argue ‘slightly below average rents’ to ‘slow the turnover’ and it served me well over the years (or even decades); however, the rental rates have increased so much that it is impossible to ignor. While I’ll save the discussion of rental rate inflation and instant shifts for another article, I will say that I have been fortunate to get what I believe as a double whammy. You see not only have I been fortunate to be part of the Charlotte, NC double digit rate of rental rate appreciation, I have also experienced what I preach of investing in up and coming emerging markets that greatly change in its social-economic population base. When a neighborhood goes from an average family household income of $14k/year to $34K/year, one witnesses dramatic rises in not only market values but rental rates too. So with that said, I finally ‘took action’ in what I had been seeing and hearing for 2-3 years, that I was behind the times and needed to do a serious market analysis. Now I had been testing some of my best located units were I had been getting @$750/mo on a 2/1 with upgrades of stainless steel, tile backsplashes and on the floor, granite, and brushed nickel fixtures and the end result was rental rates of $1050 to $1,200 depending on size and layouts. I started ramping up those unit upgrades schedule a year+ ago. But my second wave of rentals in the $600 range in NoDa, Villa Heights, Belmont and outlying sections of Plaza Midwood, I was still not believing it. Until I heard a younger (28) friend that was starting out in the ‘after-college world’ stated “we don’t even look at rentals under $800/mo as we just assume they are in rough shape and/or a really tough location.” It caught my attention. Was my target market, the creative loafer changing in mindset? Then I had been watching neighborhood facebook pages and realized the compliants of finding any rental under $1,000/mo was impossible. Suddenly when a resident posted his unit (which was my place) was coming available (he posted to get someone to rent cause he needed to break a lease early) and he was paying $800/mo, I quickly called my property manager and said post it as $925/mo and if nobody commits when it empty’s in 2 weeks we will access upgrades. Guess -what re-rented within the week. Yes -we in charlotte are experiencing both a market shift and strong annualized rent inflation (again -another article). What do you think I’ve done as a result of both seeing all this data? That is right!!! I have studied every rental in my portfolio for locational rental rates, sizing/layouts, and capital improvements to get the top 25th percentile of rents. year resident paying $540/mo. 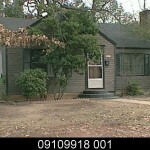 $15-17k in new windows, heat/ac, kitchen, and miscellaneous work here and there. Guess what happended to this 2 bedroom, 1 bath, 925 sq/ft home? Rented out within 2 weeks at $1395 on an 18 month lease! Did you know I had 5 750+ credit score couples (not roommates) jockey for it in the 2nd week of January? Historically a slow time of year. I’ve not seen this since the 90’s. Does that catch your attention? It caught mine! Boy did I fall behind the curve. And yes, I am admitting that I make mistakes too. That’s how we learn right? As a result, I am setting a goal of average rental rates of my portfolio to be $1,000/mo versus the old of $650 over the next @2 years of capital improvements and turnover. Start multiplying that monthly cash flow increase times 5, 10, 25, or 30+ rentals and one witnesses a serious increase in cash flow. Of course one has to budget the cost of improvement (whether it be out of cash flow, savings/reserves, or debt) to truly figure out a return on investment (ROI) and monthly positive cash flow as major capital improvements such as central heat/ac, windows, subfloors, etc., here and there will be needed to cater to a higher end market. So my point? I really want to emphas that one should invest in neighborhoods that will appreciate above your city’s average rate of appreciation, position the investments to cashflow and handle debt, continue upkeep and education not only on the property but yourself for maximum return while holding, and most importantly, PATIENCE. With the rental rates increasing so much in Charlotte, I have also noticed the retail prices on homes have increased as well. I am interested in investing in properties here in Charlotte, however I have a difficult time finding great deals on homes. I am interested in buying and holding properties. What advice can you give on finding great deals on homes in the neighborhoods that are appreciating here in Charlotte? The key is buying distressed property (whether it be the property and/or the seller). Network. Find wholesalers (with real deals) to buy from and look for avenues to contact owners themselves.